Optometry is the health care specialty area that focuses on vision and eye health. 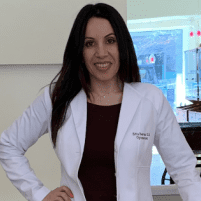 Zitta Rezvani, OD, is the experienced and compassionate optometrist serving patients at idoc Optical in Washington, D.C. Dr. Rezvani has extensive training and many years of diagnosing and treating vision impairment and eye diseases. If you’re looking for expert eye care in the D.C. area, call idoc Optical or make an appointment online today. An optometrist is an eye doctor who has earned the Doctor of Optometry (OD) degree. Optometrists examine eyes for both vision and health problems, and correct refractive errors by prescribing eyeglasses and contact lenses. Some optometrists also provide low vision care and vision therapy. Optometrists in the United States also are licensed to prescribe medications to treat certain eye conditions and diseases. The scope of medical care that can be provided by optometrists is determined by state law. Optometry is the medical practice area that focuses on visual impairments and eye health. Doctors of Optometry, also known as optometrists, examine your eye health as well as your visual acuity. As an optometrist, Dr. Rezvani diagnoses eye diseases and injuries and provides customized treatments to protect your vision. She also measures your visual acuity — how clearly you see both close-up and far away — and prescribes lenses to correct your vision. In addition to addressing myopia (nearsightedness) and hyperopia (farsightedness), Dr. Rezvani also diagnoses vision problems such as astigmatism and presbyopia, which also interfere with precise vision. Optometrists are eye health specialists who provide comprehensive eye health and vision care including diagnosing eye diseases and prescribing prescription lenses to correct your vision. They offer comprehensive and customized treatments to improve and protect your eye health. An optician specializes in fitting you with glasses and lenses to correct your vision. You meet with the optician after Dr. Rezvani, and they help you choose frames and discuss your lens options to help you make educated choices regarding your eyeglasses and contact lenses. An ophthalmologist is a medical doctor who specializes in eye diseases and ocular surgery. Adults should have comprehensive eye exams with an optometrist at least once every two years. If you wear contact lenses or glasses, your prescription is only valid for a year, so you will need to have annual checkups to order new contact lenses or new eyeglasses. Having routine eye exams is critical to protecting your vision and eye health. Many eye diseases don’t cause problems or symptoms in their early stages, and an eye exam is the only way for Dr. Rezvani to diagnose and treat them. Also, even a mild vision impairment can lead to chronic headaches, eye strain, and squinting when left untreated. Regular eye exams provide peace of mind that your eyes are healthy and ensure that you get the corrective lenses or other treatments you need to protect your vision. If you’re looking for an expert optometrist, call idoc Optical or schedule an appointment online today.